Before I got my Nintendo Switch, I was utterly determined to keep my feet planted firm on Vita Island. The PS Vita is a handheld I’d spent hundreds of fond hours with and on a sentimental level, I didn’t want to throw them away for another portable console. But the idea of a bigger screen, the total ease of switching between home and portable, and a more powerful handheld console had all been things I wanted to see for a long time, so with these in mind I eventually got a Nintendo Switch. I’ve spent less than a few months with my Nintendo Switch, but I already feel quite positive about it, with the portability and convenience of it already feeling superior to another portable console I loved for so long, I can see the Nintendo Switch already becoming a big part of my portable gaming life. When the Switch was first announced, the main thing that appealed to me was the seamless ability to take a handheld from home to on the go instantly and without restrictions. I was always happy I could take my PS Vita from the couch to bed, but the Nintendo Switch takes this concept to the new level it promises with barely any hassle. There’s no fiddling with a remote connection; just pulling the Switch out of the dock, snapping on some JoyCons and being ready to play. According to the Switch’s specs, there is a dip in processing power and resolution when it’s off dock, but with the smaller screen I am yet to notice a difference at all between playing a few racing games and some JRPG demos. Also, as much as I wanna be Team Vita, I can’t begin to tell you how much I appreciate not having to deal with an internet connection for remote playability when using my device at home. The Switch is very simple to use and I’m glad it feels as convenient as I hoped. 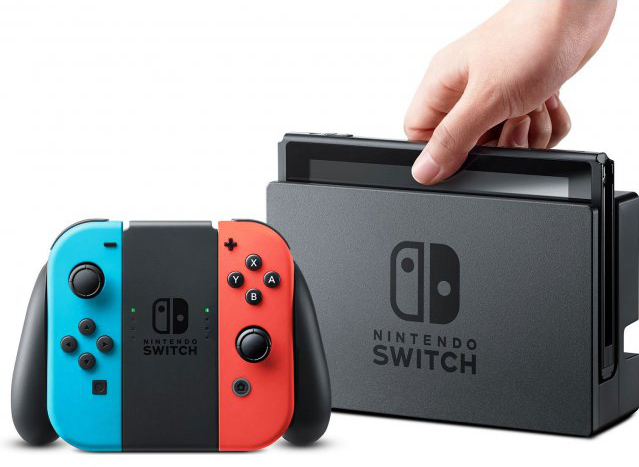 With more power than other portable consoles on the market, the variety of experiences the Switch can deliver is a big plus for it, along with the smooth way it delivers them. A recent bummer I’ve had with certain portable ports of console games is the removal of certain HD textures or jumpy frame rates, but so far all my experiences on the Switch haven’t suffered from this fate. A demo I used for comparison recently was the Japanese demo for Lost Sphear. 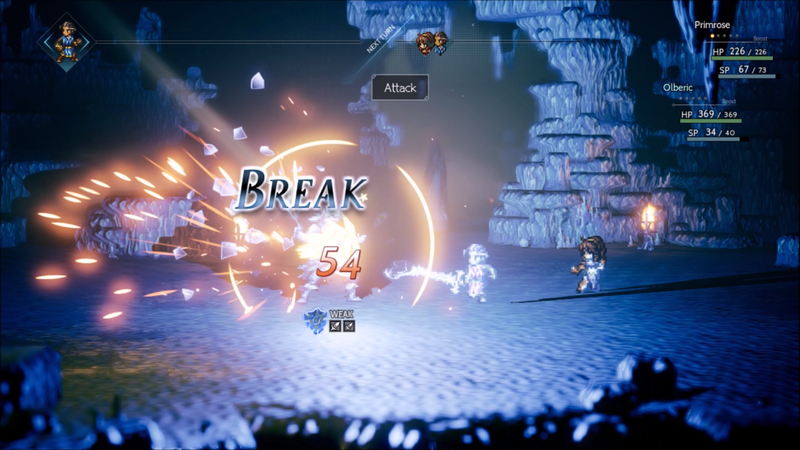 Between the PS4 version and the Switch version docked and undocked, the experiences were very similar despite a differing frame rate, with the PS4 being the technically better version. While the PS4 is the highest powered of the three methods, all were comparable experiences and I didn’t feel I was missing out with the Switch version, meaning I can take more games out with me with confidence I'm still getting a high quality experience. While the power of portability for the games it has is good and there’s a decent(ish) library for a JRPG fan like me, the library is a little limited at the moment for new experiences. It is definitely doing better than other home consoles at launch, but aside from ‘Complete Editions’ and a couple of big releases, there are only a couple of good JRPGs worth buying a Switch for, such as Zelda: Breath of the Wild or Dragon Quest Heroes if you’re counting the Japanese store. 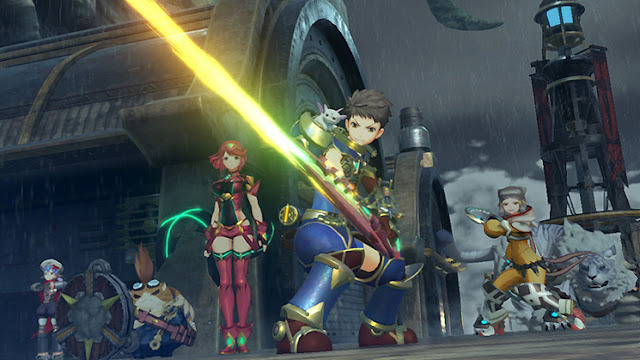 This is very likely to change from next year though, with Xenoblade Chronicles 2 coming out in just a couple of days kicking things off and a few good JRPGs announced to be coming to the system, the Switch will hopefully keep becoming a worthwhile system to own. A minor complaint I heard from a lot of people who own a Nintendo Switch is that although it is portable, the system is big and heavy. I both agree and disagree with this, as the Switch in its handheld form is a decent size and feels nice to hold thanks to its width. Yes it's a bit wider than other consoles, but it feels much more like a console than a toy with its weight which I personally prefer. The only problem I've had with its size is that once it's in a protective case, it does take up a considerable amount of bag space. As someone who carries a big handbag or backpack usually, I don't mind shoving it into my bag so much, but it is something to consider if you're buying it for use outside home. It's a small trade-off for the nicer screen and higher quality games, and being able to take a better game on the go makes this a non-problem for me. While its game library is still growing, I daresay it has potential to be the best portable gaming device I've tried. It’s hybrid of home gaming and portable gaming is one that will suit players who are looking for something they can use both at home and outside, and although I never owned a Wii U, I think is a cool successor for its concept and better specs. What it lacks in power compared to the PS4 and Xbox One it makes up for with portability and as a long as it sees enough support from developers, this lack of power won’t be an issue to those who prioritise getting as much gaming time as possible like myself. While I won’t be putting away my Vita for good thanks to a forever looming backlog, I'm quickly becoming one of those people that wants every game on the Switch just because it's so convenient and fun to play on. Do you have a Nintendo Switch? Which handheld console do you spend the most time playing? Nintendo: the innovation again. So many things in modern gaming that Nintendo invented. I must have it!